Washrooms are essential areas in the working environment and because of their importance, they are often utilised. This continual use inevitably leads to the possibility of unhygienic and lowly-stocked, washrooms. 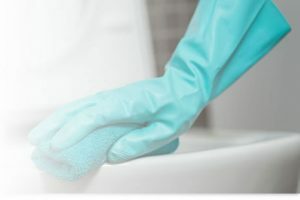 With us, we offer a scope of services to maintaining your essential washrooms, where we offer advice, education, and general maintenance of the premises and supply all the consumables at discounted rates. Along with regularly upholding your standards, satisfactorily, by cleaning the washrooms and toiletry areas, we also offer attention to detail with air fresheners which give the aroma of a fresh environment, and we provide comfortability such as products of feminine hygiene. Our clean-to-gleam team work around your business; we pride ourselves on the flexibility that we provide.